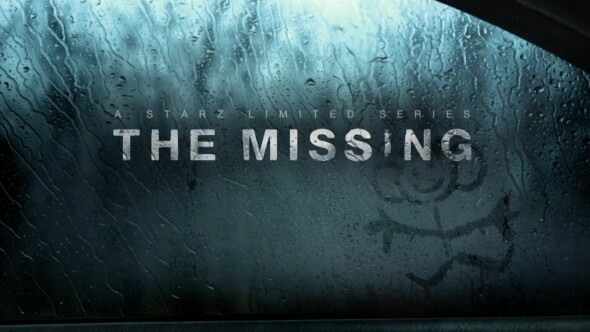 Starz has announced that production has begun on the second season of The Missing TV show. The eight episode season will feature a new story and castmembers like David Morrissey, Keeley Hawes, and Tchéky Karyo. Beverly Hills, Calif. – February 18, 2016 – Filming has commenced on a new 8-part installment of the Golden Globe® and Emmy® award-nominated thriller, “The Missing.” Produced by New Pictures in association with Two Brothers Pictures and Playground for BBC One and Starz, “The Missing” will once again be written by Harry and Jack Williams, with the new installment being directed in its entirety by Ben Chanan (“Cyberbully,” “The Last Kingdom”). “The Missing” returns with a new case, new characters and a new location. The series follows Sam and Gemma played by David Morrissey (“The Walking Dead,” “Extant”) and Keeley Hawes (“Line of Duty,” “The Casual Vacancy,” “The Durrells”), whose daughter Alice went missing in 2003. In 2014, a young British woman stumbles through the streets of her German hometown and collapses. Her name is Alice Webster, played by newcomer Abigail Hardingham (Nina Forever), and she has been missing for 11 years. Alice’s return sends shockwaves through the small community. Told in dual timelines, flitting between 2014 and the present day, we follow Alice’s family as they are thrown back into a turmoil that threatens to tear them apart at the seams. When French missing person’s detective, Julien Baptiste, played by Tchéky Karyo (Goldeneye, The Patriot), races across Europe to pursue a 12-year-old case that he never let die, we begin to explore the murky morality and emotional complexity of what happens when the missing child you’ve been longing to return actually comes back. David Morrissey, Keeley Hawes and Tchéky Karyo are joined by Roger Allam (“Endeavour,” “Tamara Drewe”); Laura Fraser (“Breaking Bad,” “Peter & Wendy,” “One of Us”); Anastasia Hille (Show White and the Huntsman, “Prey”); Lia Williams (“The Crown,” “The Foreigner”); Abigail Hardingham; Jake Davies (“X + Y,” “Yen”); Florian Bartholomäi (“Deutschland 83,” Smaragdgrün, “Tatort-Taxi nach Leipzig”); Daniel Ezra (“Murdered by My Boyfriend,” Blood Cells). The hugely successful first series of “The Missing” had the whole nation gripped from the start, winning rave reviews and accolades and becoming appointment to view television for over 7 million people each week on the BBC One. It received four BAFTA Television Awards nominations, two Golden Globe® nominations, and a nomination at both the Critics’ Choice Television Awards and the Primetime Emmy Awards®. The executive producers are Willow Grylls, Charlie Pattinson and Elaine Pyke for New Pictures, Harry and Jack Williams for Two Brothers Pictures, Polly Hill for the BBC, Colin Callender for Playground, Eurydice Gysel for Czar TV, and Jan Vrints. Producer is Julian Stevens. Series 2 was commissioned by Charlotte Moore, Controller, BBC TV Channels and iPlayer, and Polly Hill, Controller BBC Drama Commissioning and will consist of eight 60- minute episodes. “The Missing” is produced by New Pictures in association with Two Brothers Pictures, co-produced with Czar TV, VRT, and BNP Paribas Fortis Film Finance and is filmed with the support of the Belgium federal government’s Tax Shelter scheme. The Missing is supported by the Screen Flanders economic fund, under the aegis of Economic Affairs Minister Philippe Muyters and Cultural Affairs Minister Sven Gatz. The second series will transmit on BBC One in the UK and STARZ in the US. Starz retains home video and EST rights in the U.S. and Canada and limited SVOD rights in the U.S. All3media international retains all US rights not obtained by Starz. All3media International handles overseas sales for the show. The Missing has sold into over 170 territories to date. Starz Networks is a leading provider of premium subscription video programming through the flagship STARZ® and ENCORE® pay TV networks which showcase premium original programming and movies to U.S. multichannel video distributors, including cable operators, satellite television providers, and telecommunications companies. As of September 30, 2015, STARZ and ENCORE serve a combined 55.8 million subscribers, including 23.3 million at STARZ, and 32.5 million at ENCORE, making them the largest pair of premium flagship channels in the U.S. STARZ® and ENCORE®, along with Starz Networks’ third network MOVIEPLEX®, air more than 1,000 movies monthly across 17 linear networks, complemented by On Demand and authenticated online offerings through STARZ PLAY, ENCORE PLAY, and MOVIEPLEX PLAY. Starz Distribution develops, produces and acquires entertainment content, distributing it to consumers globally on DVD, digital formats and traditional television. Starz Distribution’s home video, digital media and worldwide distribution business units distribute original programming content produced by Starz, as well as entertainment content for itself and third parties. New Pictures was established by Charlie Pattinson, Elaine Pyke, Willow Grylls and Richard Nelson in April 2013 to produce television drama for all markets. In the first year of operation, New Pictures was greenlit for production on two series: The Missing for BBC1 and Starz and Indian Summers for Channel 4 and WGBH. Both shows were ratings and critical hits and are now into their second series with Indian Summers due to TX in March 2016. In addition a further thriller series Rellik has been commissioned for production for BBC1 in 2016, as well as a supernatural drama, Requiem, which also goes into production later this year. Between them the executive team have produced or commissioned thousands of hours of award-winning drama for every major broadcaster in the UK and for HBO, Cinemax, CBS, MTV and Showtime in the USA. In January 2016 New Pictures was sold to All3Media. An independent company established in late 2012 by Harry and Jack Williams, joined by their Development Producers Sarah Hammond and Lydia Hampson. They recently co-produced FRIED for the BBC, and this year will be shooting FLEABAG, a 6-part series for BBC3 by Phoebe Waller-Bridge, adapted from her Olivier-nominated play. Up-and-coming commissions include RELLIK, a 6-part drama for BBC1, a co-production with New Pictures. They have a first-look distribution deal with All3Media. CZAR produces and co-produces feature films, as well as high-quality short films and television series. It focuses on the production of director driven films with a desire for renewal and evolving visual and narrative techniques, within an international European frame and network. Its goal is to create a platform for defiant directors and to export Belgian talent. The company is managed by producer Eurydice Gysel and producer/director Koen Mortier. In the past they produced the feature films Ex Drummer and 22nd of May, both directed by Koen Mortier. The films took part in numerous festivals and were sold worldwide. Their latest project Waste Land by Pieter van Hees, starring Jérémie Renier is still traveling and was released in France. Further they produced the short films A Gentle Creature, Rivers Return, Perfect Drug, Playing Away from Home, all of which were in competition at A-list festivals around the world. The lastest short Feel Sad for the Bunny by Kenneth Mercken received the Special Mention of the Jury at the International Short Film Festival of Leuven in 2015. Besides their own productions, they co-produced Borgman and Schneider vs. Bax, both by Alex van Warmerdam, L’étrange couleur des larmes de ton corps by Hélène Cattet and Bruno Forzani and Supernova by Tamar van den Dop. All of these productions had their world premiere at A-list festivals such as Cannes, Berlinale, Locarno, Toronto. The BBC series The White Queen, a historic drama, was their first television co-production and aired in 2013. Another BBC co-production they worked is the thriller series The Missing. all3media international distributes popular, award-winning TV programmes to over 1000 broadcasters and media platforms around the world. The company has been celebrated for producing, marketing and distributing quality, ground-breaking and pioneering shows to global audience – consistently topping the Broadcast and Televisual annual Indies Surveys and we have been awarded the Queen’s Award for Enterprise in recognition of our growth – twice. Our catalogue contains over 7,000 hours of content across all genres, with a focus on drama, comedy, factual, entertainment and formats. As well as Britain’s top-selling series Midsomer Murders, our lead dramas include The Missing, Indian Summers, Foyle’s War, Skins, Miss Fisher’s Murder Mysteries and Hinterland. Factual, entertainment and format bestsellers include Gogglebox, Undercover Boss, The Gadget Show, The Cube, The Only Way is Essex and The Million Second Quiz. As part of the UK’s leading multi-label studio we partner with UK and international producers – including our own studios – in developing, financing and delivering content and formats. Playground is a New York and London based film, television and theatre company that was founded in 2012 by Emmy and Tony award-winning producer Colin Callender. It is committed to producing quality drama for the screen and the stage bringing together the finest US and UK talent from the worlds of theatre, film, and television. Callender won his first Emmy for the television adaptation of the RSC’s “The Life and Adventures of Nicholas Nickleby” and, as president of HBO Films, was responsible for an unprecedented award-winning slate of movies and mini-series. Playground has produced over 50 hours of prime time television drama garnering 13 Emmy nominations and 11 Golden Globe nominations, including a Golden Globe win for Best Mini-series. Recent productions include the Emmy-nominated and Golden Globe-winning six-part mini-series adaptation of Hilary Mantel’s “Wolf Hall” starring Mark Rylance, Damian Lewis, Claire Foy and Jonathan Pryce for the BBC and Masterpiece, the television adaptation of Ronald Harwood’s “The Dresser” starring Ian McKellen and Anthony Hopkins and directed by Richard Eyre for the BBC and Starz, Golden Globe-nominated “The Missing” an eight-part thriller with Charlie Pattinson’s New Pictures for the BBC and Starz, Emmy and Golden Globe-nominated “The White Queen” for BBC and Starz, and Golden Globe-nominated “Dancing on the Edge” also for BBC and Starz. Upcoming productions include Stephen Poliakoff’s post-WWII mini-series “Close To The Enemy” with Helen Flint’s Little Island Production and a mini-series adaptation of “Howards End” written by Ken Lonergan for the BBC. What do you think? Did you watch the first season of The Missing on Starz? Will you watch season two?